An episodic JRPG seems like a hard sell – how do you cut a genre built on the backs of immense sagas and marathon weekend play sessions into bite-sized chunks? Apparently by writing cliffhangers into each narrative focal point and developing for iOS, where mobile users might appreciate a light-weight, turn-based trek through RPG Maker heaven. 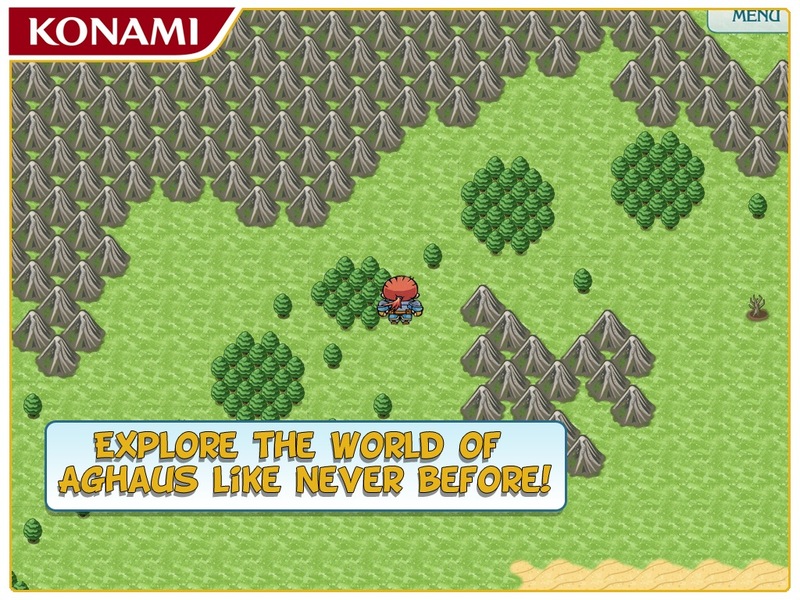 Armed with a built-in audience, a new publishing deal with Konami, and a multi-tiered business model, Ash II: Shadows [$2.99 Silver Edition / $4.99 Gold Edition] should have been a sure thing for SRRN Games. 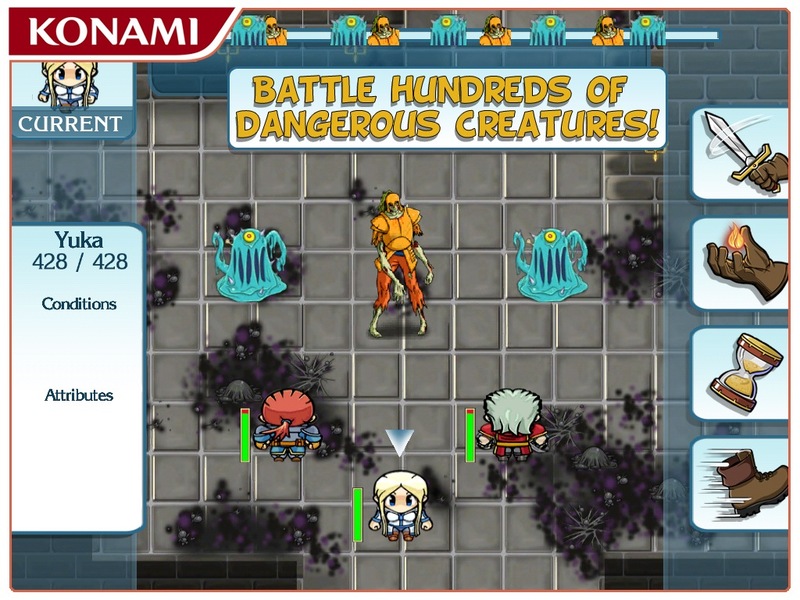 The UI is cleaner, the sprites more detailed, and random encounters replaced with on-screen enemies – Konami cash put to good use. I have the lasting impression, though, that SRRN’s business concerns have impacted – if not downright dictated – some of its design choices. The first – and so far, only – chunk of Shadows lasts about five hours, during which time players are exposed to enough world-building and character introductions to feel the full weight of the cliffhanger that introduces the inevitable second chapter. Creating a coherent narrative arc in a relatively confined – by JRPG standards – space means that Shadows employs rather brisk pacing, both narrative and systematic. I haven’t played the original Ash [99¢ / Lite], but I enjoy feeling like a newcomer to the world, and Shadows does a good job of dripfeeding players relevant information without getting too bogged down in exposition. The interpersonal relationships are full of sharp, punchy dialogue that achieves a great amount of characterization in very little time. 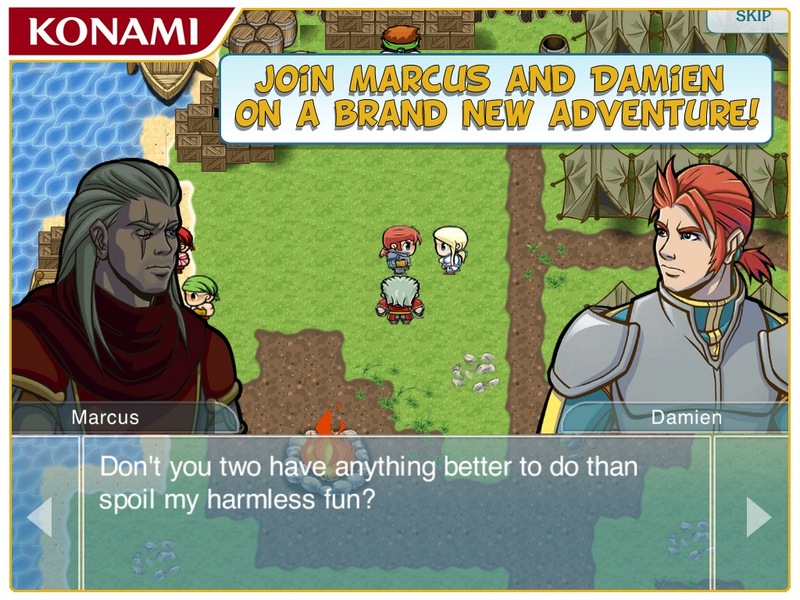 Indeed, Shadows puts a premium on action – Damien, a disgraced Aghausian rebel, and his ragtag band are constantly questing and exploring, and they spend very little time actually discussing their options or thinking rationally. It’s nice to avoid hearing them labor every detail of exploring what they call “a magical fairy continent," but Shadows can feel ill-plotted and haphazard as a result of its breakneck pace. The upside is that, by constantly offering something new to see and learn, Shadows‘ narrative elements can keep players hooked where its systems fall short. Like most things in Ash, the systems are relatively basic and cribbed from larger, more-established franchises. The basic components of the game are a paper-rock-scissors elemental system, a weapon proficiency meter, a queue that maps out the order of the turn-based combat, and skills which are gained by leveling up. At its best, Shadows is a game about balancing power for precision. Players balance equipping their characters with weapons that carry a high proficiency with ones that come with elemental bonuses. Combat is an exercise in trying to manipulate the queue to your advantage, in trying to get as many turns as possible without letting the enemy in line – it’s just too bad that all the best attacks come with heavy queue penalties. The larger point here is that Shadows‘ story works well with the game’s episodic structure and the gameplay doesn’t. As a five-hour mirco-RPG, Shadows provides a satisfying narrative arc. It’s ok to take it slow if your game lasts 80 hours, but this one only lasts five –the systems feel underdeveloped and stunted. There’s a disconnect in Damien’s experience as a player-character and my experience as the man behind the scenes. On the bright side, though – there’s no grinding necessary, which lets me get back to the story all the quicker, and there’s nothing stopping SRRN from re-balancing the game before Chapter 2 is released. That’s the thing: there are still five more chapters to play. Ash II: Shadows comes in two packages, gold and silver. If you buy the gold version, all future content will be free. Silver buyers get the second chapter free and a discount on extra content. There’s also a “bronze" version in the works – the first chapter will be free, but subsequent content will have to be purchased. Since the rest of the game hasn’t been priced yet, it’s impossible to know how the silver and bronze packages will shake out. This is a quandary: I like the story and want to see more of it, but I want the systems to get more engaging before plopping out more cash, especially because it’s so easy to see that the fundamentals are already in place. Ash II: Shadows is an improved game over the original in many ways, but until some tweaks are made and we see how the rest of the episodes shake out it’s hard to gauge if it’s ultimately an overall better experience.